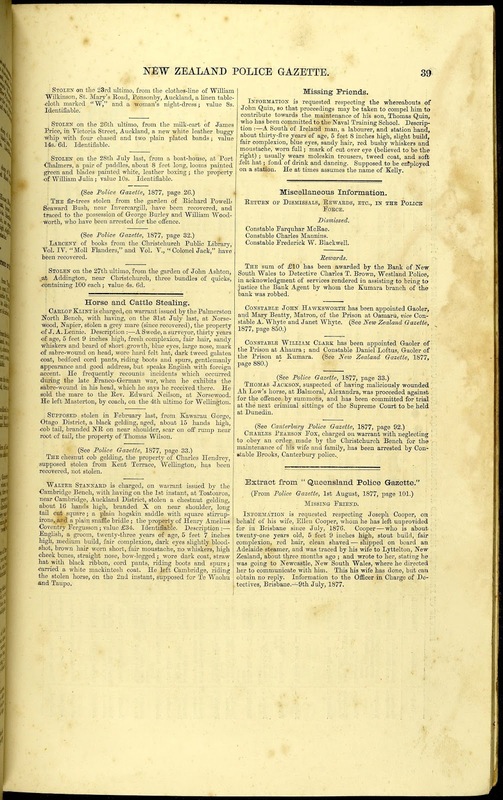 Type New Zealand Police Gazettes into the search box on Archway’s home page and click "search"
NOTE: you will see volumes for Otago above the Wellington vol.1 but there is currently no index for these. 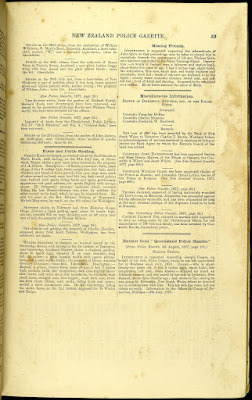 Each volume is indexed but a word of caution: there is a general index which is then followed by Discharged Prisoners, Index convicted prisoners later became Persons summarily convicted (1903 onward), and index to prisoner's photographs (1908 onward) – photographs may be separate from main section. 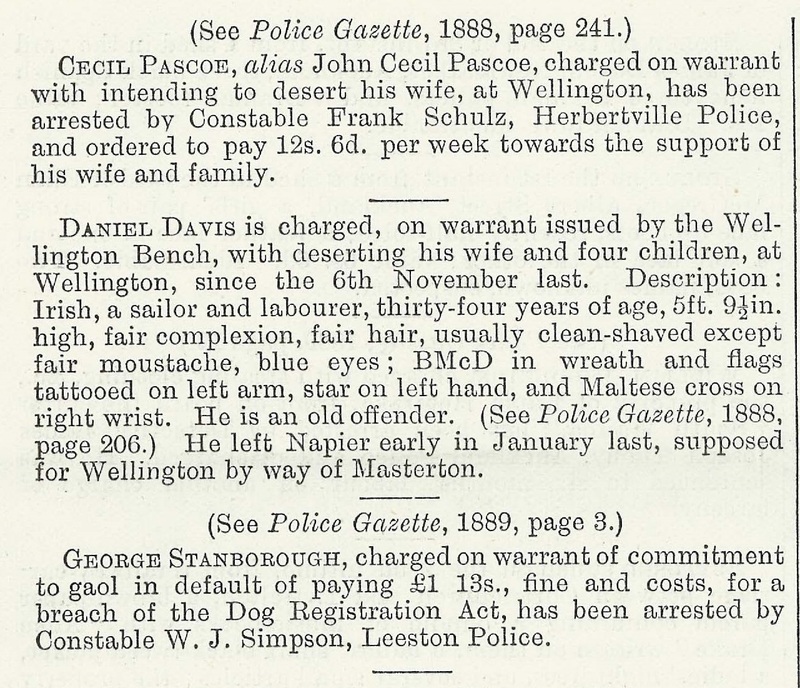 If you are looking for someone who was in the police force, then look under “Police” in the general index not the person's name. You will find information about victims, men absconding and not paying maintenance for wives and children, perpetrators of crime (broken down into types of crime), deserters (military), missing friends, and rewards offered. My grandfather had his bicycle stolen in Christchurch in 1930 and the gazette gives a very full description of the cycle down to the type of pedals; I don’t think he got it back though. Descriptions of criminals give height, hair and eye colour, complexion, nose chin, mouth and remarks such as previous convictions, tattoos, scars etc. 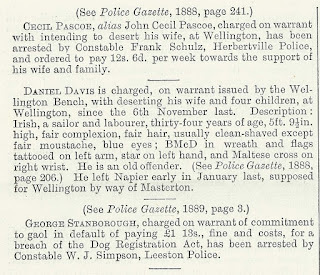 Just a word of warning though, you may find family members accused of crimes you would rather not know about - entries still have the power to shock and disgust even from the distance of time. Archives New Zealand have an information sheet about these books on their website.